I even got caught singing a christmas carol in the car while I was sitting at the lights. Well the man in the car next to me didn't know what I was singing but he could see I was enjoying myself. 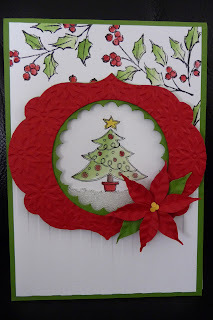 I really enjoy making christmas cards so when I saw this weeks Just Add Ink challenge was Just add Christmas I had to make something. I had a hard time deciding what I wanted to do because there are so many options. Any way I decided to make some shaker cards because they are always fun. 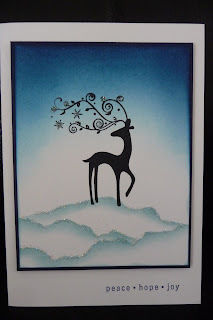 Thanks Kim once again for the loan of your stamp set Watercolor Winter. 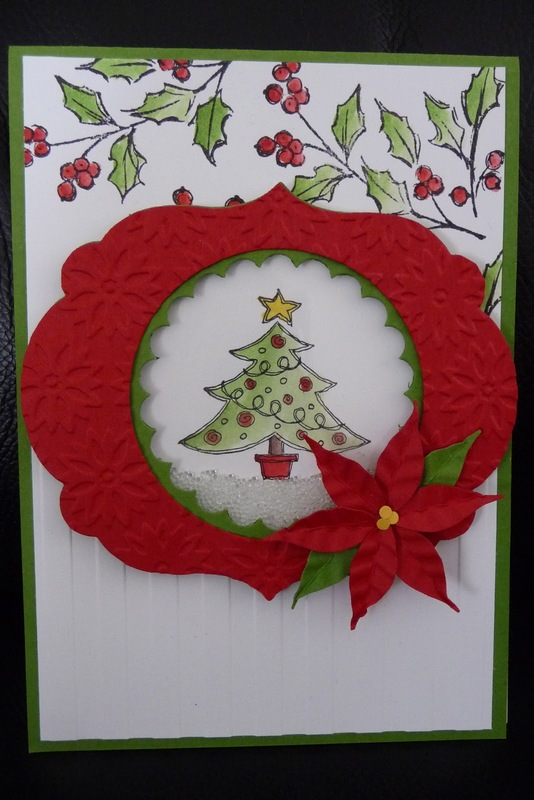 I had fun designing the poinsettia. In fact I made 7 before I was happy. 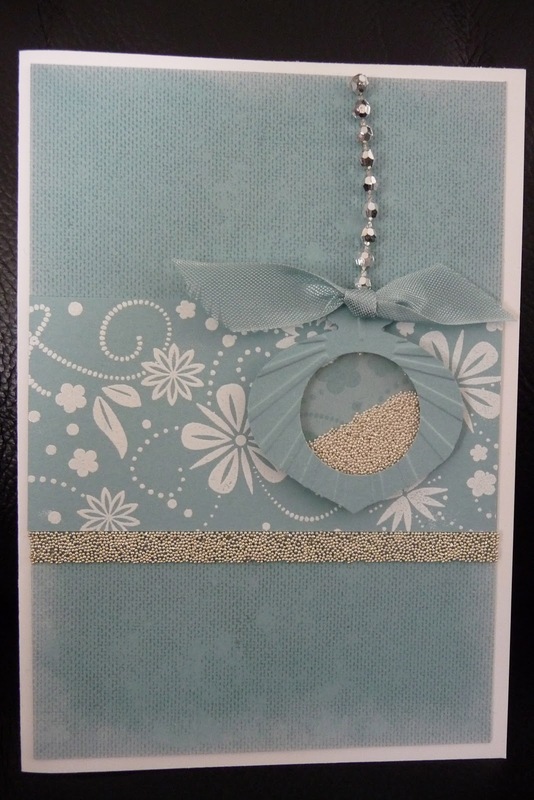 I used the small petal from the Blossom Petals Builder punch. I then folded them in half and ran them through the crimper at a slight angel. The little glass micro beads make a wonderful sound when you move the card around. 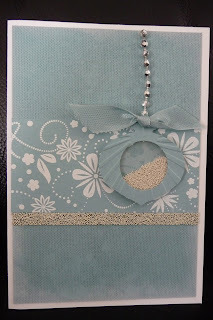 For shaker card number two I used white embossing to give the image that extra punch. I have never used my sticky strip with micro beads before. It makes such a pretty effect. 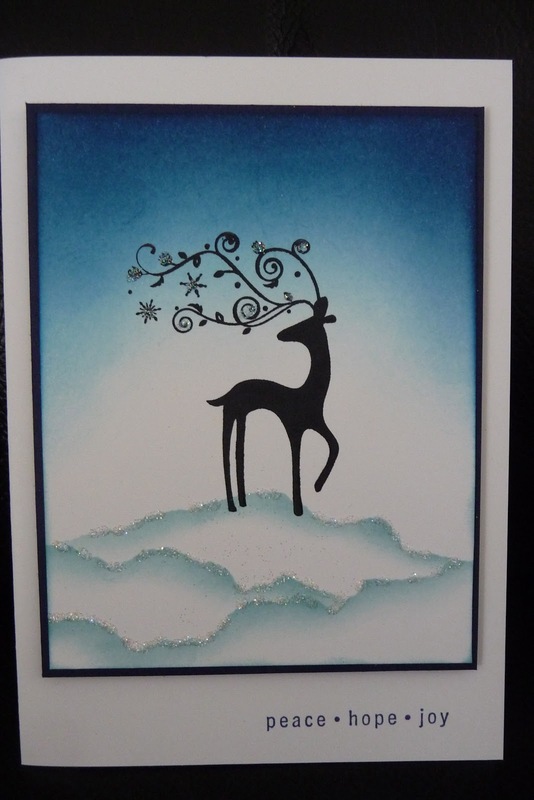 I had a bit of time to play around with some sponging so here is the card I made. I used Baja Breeze for the snow and Pacific point, Not quite navy and Night of Navy for the sky. I had to share this lovely Christmas card Kim gave me this year. Wow, Nadine, you've been busy! I love the white-embossing on your second card, and all the sponging on your third, but the first is my favourite. Thanks for joining us at Just Add Ink. Merry Christmas to you! Ohhh very pretty - I like your little pointsettier (arrhhh - I don't know how to spell that)! Anyway - I must get that punch out more and play with it.